If you were to stop ten people on the streets of most cities and towns in Texas and ask them how they feel about “open-carry” the vast majority of them would have no idea what you are asking. Some would probably think you were talking about walking down the street with an open beer in your hand, relating it in their mind to the Texas law against having open containers in a motor vehicle. “Open-carry” for purposes of this article refers to legally carrying a self-defense handgun in a holster that it is not concealed from public view. A significant percentage of Texas residents believe that open-carry is currently legal in Texas, but they are mistaken, except in a few locations. One can openly carry a handgun on their own property, while engaging in sporting activities in which handguns are commonly used (ex. hunting and shooting matches), and in their place of business or employment under certain circumstances. Other Texans mistakenly believe that there is a law in Texas that specifically prohibits carrying handguns openly. There is no law in Texas that specifically addresses open-carry except in the limited context of a Concealed Handgun licensee carrying a handgun. (CHL’s must keep their handguns concealed.) This distinction in the law is not merely trivia for your amusement; it is a critical factor in legislation that seeks to legalize the carrying of self-defense handguns openly. Representative Lavender introduced an open-carry bill in the 2009 Texas legislative session, and he is fully expected to do so again in 2013. Since this subject will again be raised in the Texas Legislature, it is this writer’s goal to provide useful information to my fellow Texans so they will not needlessly fear the concept of openly carrying a self-defense handgun. It will probably be helpful to briefly cover the history of open-carry in Texas before getting into the issues that have arisen in the past and that we can expect to hear again in 2013. Since shortly after the end of the Civil War, it is been illegal for Texans to carry handguns outside your home, except in very limited circumstances (see above). In 1995, the Texas Legislature passed the first concealed handgun statute creating a system whereby Texans and nonresidents could obtain a Concealed Handgun License. The statute requires everyone who carries a handgun under the authority of their Concealed Handgun License to keep their handgun concealed so it will not be seen by the general public. It is also legal for Texans to have a handgun in their motor vehicle, or a motor vehicle under their control, without first obtaining a Texas Concealed Handgun License. However, Texas law requires that persons carrying a handgun in their motor vehicle make sure that their gun is not in plain view. So although Texas has never had a stand-alone law prohibiting open-carry of handguns, it has been illegal to do so either because of the general prohibition on carrying handguns, or due to the restrictions placed on concealed handgun licensees and motorists with handguns in their cars. People who are unfamiliar with the open-carry topic are likely to hear discussions about licensed open-carry vs. unlicensed open-carry and wonder about the difference. (Some people refer to unlicensed open-carry as “constitutional carry.”) Licensed open-carry means that only people who hold a Texas Concealed Handgun License, or a license issued by another state that is recognized under Texas law, will be able to openly carry a handgun. Unlicensed open-carry would allow all citizens who can legally possess firearms under both Texas and Federal law to openly carry a handgun. This article will be dealing only with licensed open-carry since that is the bill that was introduced in the 2009 Texas Legislative Session and that is what is expected to be filed by Representative Lavender in the 2013 Texas Legislative Session. Generally speaking, people who support, oppose, or fall somewhere in the middle, in terms of open-carry in Texas, fall into three groups. Some strongly support open-carry and these people tend to prefer unlicensed open-carry but will reluctantly acquiesce to requiring a Texas Concealed Handgun License in order to legally open-carry. The number of people falling into this first group is unknown, but it is relatively small in comparison to the total Texas population. The group of people who strongly oppose open-carry is small. It is comprised primarily of law enforcement officers and people who support citizens carrying self-defense handguns, but who have strong reservations about the wisdom of openly carrying a self-defense handgun from a tactical viewpoint. The vast majority of Texans have no strong feelings on either side of the issue, although there are some who fear that a poorly drafted open-carry bill could lead to large numbers of businesses posting their property as off-limits to anyone carrying a handgun, whether openly or concealed. Anyone taking enough interest in the open-carry issue to listen to the debates and read any of the Internet discussion boards are going to be faced with certain claims and allegations made by those on either side of the issue. Most of the major claims and allegations are discussed below. Many open-carry supporters claim that the United States Constitution guarantees citizens the right to openly carry a handgun without first obtaining a license. These folks typically point to certain language in the Heller decision to support their position. Appellate decisions, especially those issued by the United States Supreme Court, often contain language that does not directly impact the question at issue. This language is called dicta and it cannot be cited as authority in any other cases. However, dicta is valuable in that it gives some insight as to how the court will likely rule in future cases when this language is directly related to the ultimate issue in question. Of course, this judicial hint may lose value if the makeup of the Supreme Court changes before a follow-up case is heard. The bottom line is this; there is no United States Supreme Court decision recognizing a constitutional right to openly carry a handgun, either with or without a license. There is a split of opinions in the courts of appeal in the federal system, with at least one recognizing that the Second Amendment to the United States Constitution does protect a right to carry a concealed handgun with a license. There are other federal appellate courts that have held the opposite, so the stage is set for the United States Supreme Court to take a case dealing with citizens’ right to carry a self-defense handgun. Hopefully, we will have a decision in the not too distant future and that it will recognize that a citizen’s right to self-defense exists outside one’s home. While this may be technically correct, it is somewhat misleading. In many states where there is no law prohibiting open-carry, it simply is not done. Often this results in law enforcement officers receiving so-called “man with a gun” calls forcing them to interact with citizens openly carrying handguns. Sometimes this interaction is benign, sometimes it is not. Often, what is technically legal is not actually done. For example, it is technically legal to carry a long gun (rifle or shotgun) virtually everywhere in Texas. However, if one were to throw their AR-15 over their shoulder and walk down Main Street in downtown Houston, Houston Police officers will make sure the experience was unpleasant. This is one of the more commonly stated reasons for passage of open-carry in Texas. Reliance upon this argument by open-carry supporters is misplaced as Texas law is abundantly clear. In order to violate the current statute, a concealed handgun licensee must intentionally fail to conceal their handgun. Requiring only intentional conduct, rather than the typical standard of doing something “intentionally, knowingly or recklessly,” means that accidental exposure of a handgun does not violate Texas law. Some open-carry supporters provide anecdotal claims that Texans have been wrongfully arrested for accidental exposure of their handgun. Even if these claims are accurate, such incidences are few in number and passage of open-carry will not relieve the problem. Any Texas peace officer who would arrest someone for unintentionally or accidentally exposing their handgun is abusing their authority and is arresting someone for an act that is clearly not illegal. Any officer willing to do this would find it even easier to arrest someone who is openly carrying simply by claiming that they put their hand on their handgun thus violating the Texas Disorderly Conduct statute. Some will argue that citizens openly carrying handguns will reduce crime in Texas. The argument is that the sight of an armed citizen will deter someone from committing a criminal act. Unfortunately, there is no empirical evidence to support this claim. While it is possible that open-carry would have a positive impact on the crime rate, it is highly unlikely. All a would-be hijacker would have to do is simply wait until the armed citizen left, then commit whatever criminal act they originally planned. This claim is further weakened by the acknowledgement that relatively few people will exercise the option to openly carry a handgun. It is sometimes claimed that openly carrying a handgun makes one the primary target for criminals. While this is undoubtedly true for some criminals, the fear is probably overblown. All but a few criminals do not want a fight, they do not want to get caught, and they do not want to go to prison. As mentioned in their preceding paragraph, all a would-be criminal would have to do is wait until the armed citizen leaves the premises, then carry out the planned crime. This is an absurd allegation and thankfully only the most ardent anti-gun activists make this false claim. As previously noted, the bill that will be introduced by Representative Lavender would allow open-carry only by Texas concealed handgun licensees. CHL’s have a sixteen year track record that is the envy of the entire nation. Over the last four years, Texas CHL’s are fifteen times less likely to commit a crime than is the general population in Texas. There is no basis to argue that these people would constitute a threat to public safety simply because they exercised the option to openly carry a self-defense handgun rather than conceal it. Some Texans fear that the only people who would actually carry a handgun openly are those who want to draw attention to themselves, who are potentially confrontational, and simply want to present a tough-guy image. While this claim is probably overblown, YouTube videos are available on the Internet of people in other states intentionally making a show of the fact that their openly carrying a handgun. The same people often appear to be baiting police officers attempting to create an incident that will allow them to later claim police harassment. Incidents like those described in the preceding paragraph seem happen more often in states that allow unlicensed open-carry. There is every reason to believe that Texas CHL’s will behave as responsibly if open-carry passes, as they have for the preceding sixteen years. While there may be some such instances, they are likely to be few in number and very infrequent. This is probably the single biggest issue that causes friction between the most ardent supporters of open-carry and people who currently hold a concealed handgun license. Open-carry supporters point to the experience in other states as evidence that there will not be a rash of “no guns” signs. Those who are concerned about this issue fear a repeat of what happened in Texas from the passage of the initial CHL statute in 1995 until the law was changed in 1997. The reality is no one can be certain if the sight of people openly carrying handguns will prompt businesses to post “no guns” signs are not. However, with a carefully drafted bill such as the one Representative Lavender envisions, safeguards can be in place that will protect the interests of CHL’s who are concerned about losing the ability to carry into businesses that currently do not prohibit their entry with a handgun. This seems to be another argument primarily from those considered to be anti-gun overall. There is no empirical evidence to indicate this is a problem in states in which open-carry is actually practiced. As noted elsewhere in this article, criminals want compliant victims, not gun flights, so it is highly unlikely the criminal will confront someone they know is armed. I have no idea if open-carry will pass during the 2013 Texas Legislative Session, but it is highly likely that it will pass at some point in the future. Texans should feel secure in the knowledge that the people they will see openly carrying handguns are members of the most law-abiding and trustworthy segment of society. This is not conjecture or hyperbole, it is a fact based upon an astounding sixteen year track record earned by CHL’s. If open-carry does pass, it is incumbent upon those Texans exercising this option to be extraordinarily polite and courteous so as to allay the fears of those who, for the first time in their lives, will see people openly carrying handguns. For sixteen years, our fellow Texans have been walking with, sitting next to, and eating among, hundreds of thousands of armed, law-abiding CHL’s. Those choosing to openly carry a handgun should view themselves as ambassadors for those Texans who chose to continue to conceal their self-defense handguns. Shorter CHL Classes: Can it be Done Safely? A bill has been prefiled for the 2013 Texas legislative session that seeks to reduce the minimum required class hours to obtain a Texas Concealed Handgun License (“CHL”) for the first time. Current law requires these initial classes to be at least ten hours and no more than fifteen hours long. Renewal classes must be between four hours and six hours long. Both the four hour and ten hour minimums include the time spent on the range for the shooting portion of the class. If it passes, HB 47 will reduce the class time for an initial license to four hours, excluding the time spent on the range. Public support for this change seems to be strong and as of the writing of this article, there seems to be no significant opposition in the Texas legislature. Few people have spoken against the change and their opposition is unwarranted. That few people opposing HB 47 express concern that the material cannot be taught in only four hours. Some even go so far as to argue that reducing class hours will have a detrimental effect on public safety. Thankfully, people with these concerns can rest easy; Texas CHL instructors have been teaching the material in four hours for over fourteen years now. Although the minimum time required for a CHL renewal class is four hours, the Texas Dept. of Public Safety requires instructors to administer the same test to renewal students as is given to initial students taking a ten hour class. Since instructors have to administer the same test to new and renewal students, they have been teaching all of the statutorily-required subjects in four hours since 1998. (The first CHL’s issued in 1996 were only good for two years, meaning the renewal process started in 1998.) In fact, the current four hour renewal classes include the time spent on the range for the shooting portion of the class. HB 47 establishes a four hour class for new and renewal students, but this does not include the time spent on the range. So HB 47 and actually provides more time for classroom instruction, than is currently available for renewal students. Unlike many states, the Texas legislature wisely chose to specify the specific subject matter that must be taught in Texas CHL classes. 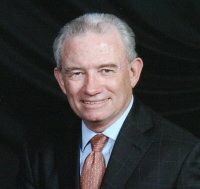 Those of us who have been involved in passing the initial CHL statute in 1995 and the numerous improvements made in virtually every Texas legislative session since then, knew from the beginning that the material could be taught in far less than the ten hours mandated for an initial class. Nevertheless, it was necessary to include time limits to prevent regulatory authorities from requiring ridiculously long classes running anywhere from two days to two weeks long. Since instructors have been teaching the statutorily-mandated material to renewal students in less than four hours (remember, range time is currently included in the four hour classes), they obviously must add six hours of filler when teaching the ten hour initial class. Depending upon the competency of individual instructors, some of the six hours of material added as filler may be excellent, but it is unnecessary to meet the legislative goal of teaching the mandated subject matter. Forcing Texas gun owners to sit through a ten hour class to learn the same material that is taught in four hours to renewal students 1) is unnecessarily time consuming; 2) inflates the cost of obtaining an initial CHL; 3) increases student fatigue that hinders learning and retention; and 4) encourages Texans to obtain concealed carry licenses from other states with shorter class requirements. Those who have expressed safety concerns can rest easy as well. As previously noted, Texas CHL holders have been taking four hour classes since 1998 and over that time period they have garnered a track record that is nothing short of amazing. Based upon data published by the Texas Dept. of Public Safety and census data, Texas CHL’s are fifteen times less likely to commit a crime than is the general public in Texas. This track record is far better than that established by Texas peace officers. Fourteen years of experience with four hour classes proves that reducing the initial class from an unnecessarily long ten hours to four hours can be done without any negative impact on public safety. Some CHL instructors have complained that reducing the initial class from ten hours to four hours will have a detrimental impact on their revenue, because they cannot charge as much for four hour classes as they charge for ten hour classes. There are two problems with this argument. First, we are dealing with a constitutional right so the state is obliged to use the least restrictive methods possible when granting the Texas Concealed Handgun License. Fourteen years experience with four hour classes proves that ten hour classes do not meet that obligation. Secondly, it is highly likely that many more Texans will obtain a CHL when their investment in terms of time as well as money is significantly reduced. This is a win-win for Texas gun owners and CHL instructors alike. Ten hour initial classes are an unnecessary burden on Texas gun owners. Representative Flynn deserves our support in our heart-felt thanks for introducing this much needed legislation. Let your Representative and your Senator know that you support HB 47 and you want them to do so as well. Do We Really Want Safe Schools? In the wake of the tragic Newtown massacre of 20 innocent first grade children and six adults, as a society we have to ask ourselves “do we really want safe schools?” The obvious answer is yes, but if we really mean it, then we must be ready to pass the necessary legislation and provide funding. There are basically two ways to make our schools safer and each takes a dramatically different approach. One amounts to the “gold standard” but it is incredibly expensive, while the other is less effective, but it is virtually cost-free. If either of these methods are implemented, our precious children have a realistic chance of surviving the rampage of a would-be mass murderer. The first method involves truly securing school buildings such that unauthorized entry is virtually impossible. To do this, every entry into a school building must be through double access doors. These doors must contain bullet resistant glass that will withstand all 30 caliber rifle rounds with minimal damage and offering no opportunity to enter the building even when shattered. These doors must also have high security locking mechanisms that are electrically controlled from a position inside the second door. Standard commercial grade locks are not sufficient for this purpose. The distance between the outer secured door in the inner secured door must be large enough to house metal detectors that everyone entering the building will have to pass through before being allowed to pass through the inner secured door. Armed police officers must be stationed inside both the outer and the inner secure doors and the officer inside the innermost a secured door should also be armed with a 30 caliber semiautomatic rifle in the event the assailant is wearing body armor. The procedure for entering the school would require that students, faculty and staff present their school identification cards to pass through the outer secured door. Once within the secure buffer zone, each person would then go through metal detectors and their backpacks, briefcases, and any other packages would pass through an x-ray machine. Once cleared, the officer manning the inner secured door can open the inner door to allow entry. A faster alternative for larger schools would require the use of large revolving doors for the inner buffer zone that would allow more students to enter each segment. The doors would have to be constructed from the same bullet resistant glass and the officer guarding this door must be able to lock electronically by pressing a button. The purpose of the two secure doors is to create an enclosed area that would serve both as a security buffer zone and as a deterrent to anyone who would attempt to enter the school with weapons. If a would-be murderer were to gain access to the outer door by the use of a fake ID, or by following an authorized person and forcing his way in, he would be trapped in the security buffer zone. The officer stationed within the security buffer zone should be able to neutralize the threat either by making an arrest or by engaging the armed intruder. In a worst case scenario, if the officer is wounded or killed the armed intruder would be trapped and no escape would be possible. While there could be innocent students, faculty or staffed also trapped, the number of potential victims would be greatly limited. The close proximity of the potential victims to the assailant could also provide the opportunity for the assailant to be overwhelmed and disarmed, but this would hinge on the age and number of people within the buffer zone. Double entry doors and a secure buffer zone are not the only changes that would be required. Interior classroom doors need to be made of steel and they must be self-locking that can be opened from inside the classroom simply by pushing on a bar. Entry from the outside will require a key or “smart card.” The same bullet resistant glass must be in a window in the door, but it should be no more than 3 to 4 inches wide so that even if it were broken, the gap would be too small for an assailant to gain entry into the classroom. Bullet resistant glass would also have to be used in all classroom windows and those windows could only be opened from inside the classroom. At this point, you’re probably thinking that the above-described proposal is going to be shockingly expensive. You are right, it will be incredibly expensive. However, if the tragedy in Newtown is going to be the catalyst for discussion of school safety, then we need to discuss methods that can truly render our schools safe, not placebos such as gun control or mental health bogeymen. The only other realistic alternative is to allow teachers and staff that have a concealed handgun license to carry handguns in school. If the school opts to do so, it could provide additional training to teachers and staff wishing to carry handguns in school, so long as the school provides this training at no expense to its personnel. It is quite likely that local police departments and sheriff departments will be more than happy to create training programs for such persons and provide the training at little or no cost to the school district. Armed teachers and staff should be the last line of defense for the children, therefore reasonable steps should also be taken to secure the campus against unauthorized entry and the self-locking steel doors should be installed on each classroom. Some will argue that it is not necessary to spend the millions of dollars required to create truly secure campuses as set out in the first alternative, or to authorize teachers and staff to carry handguns in school as set out in the second alternative. The solution that will be offered is to simply require police officers to be present in all schools. While having police officers present is desirable, this alone is insufficient. Schools that do have police officers on campus typically have only one or two officers available to respond to threats. This is insufficient even in a small school that has more than one entrance to the building and it is grossly inadequate in large schools that resemble junior colleges in their size and breadth. Assuming the police officer is not killed attempting to protect students, it is quite likely that the presence of one or two officers will merely reduce the body count. When we’re talking about our children, there is no such thing as an acceptable casualty rate. If the lone officer is killed or incapacitated by the assailant, the students are defenseless and the tragedy at Newtown will be repeated. We have a choice that must be made and it should be made during the 2013 Texas legislative Session. We can accept the fact that school shootings are quite rare and do nothing. Unfortunately, attacks on our schools may not remain rare in view of the extensive media coverage that actually encourages other would-be mass murderers to commit these atrocities to gain their a “15 minutes of fame.” Regardless of the frequency however, to many Texans (this writer included) crossing our collective fingers and hoping for the best is unacceptable. As noted previously, there are only two alternate methods of providing a reasonable level of security for our children. The gold standard is to create a truly secure campus, but the cost of doing so will be staggering and beyond the financial capability of most school districts unless federal assistance is available. Allowing licensed teachers and staff to carry handguns in school as they do everywhere outside of the school building, combined with self-locking classroom doors will establish a viable last line of defense for our children. None of us like the idea of having to turn our schools into buildings that resemble a federal reserve bank or arming teachers and staff so they can prevent our sons and daughters from being butchered. Sadly, for reasons not relevant to this article, this is the reality of the world in which we live. The latest comparison of crime statistics between Texas Concealed Handgun Licensees and the general population in Texas (over age 20) is shocking — shockingly good that is! The comparison is so good I started not to publish the information because 2009 will be a very hard act to follow. However, facts are facts and these a worthy of a party. The latest crime statistics published by the Texas Dept. of Public Safety are for 2009. In spite of a 56% increase in the number of Texas CHL’s (258,168 in 2006; 402,914 in 2009), CHL’s were 15 times less likely to commit a crime than the general public in Texas, as compared to 7 times less likely in 2006. That’s right, an already excellent track record was over twice as good. Prohibited Weapons – The general population over age 21 is over 26 times as likely to be convicted of possessing prohibited weapons as are CHLs. You are currently browsing the archives for the Texas CHL category.